However, there is an alternative to both these methods. Infrared Thermal Imaging technology can allow a contractor to pinpoint the leaks and the affected wet area surrounding it. This can mean the difference between costly and unnecessary roof repairs and a repair that actually addresses the cause of the leaking. Infrared Thermal Imaging is a nondestructive, non contact method for detecting defects in a roof membrane and building façade. Unlike some detection methods, no holes need to be made into the membrane, and no samples are taken. The special equipment detects the temperature of the many layers of a surface, and these variations indicate where water saturation exists. Many of these moisture issues cannot be detected by a visual inspection alone. In New York City, where flat roofs are common, roof leaks are especially frequent due to water pooling on the surface. 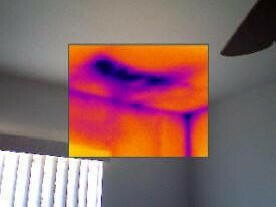 Infrared Thermal Imaging reveals these leaks early on, allowing for a less invasive and less costly roof repair. If a contractor tells you that a complete roof restoration is your only solution, but your roof is relatively new, it is in your best interest to have an Infrared Inspection performed. While not all construction companies provide this service, many will do so for only a nominal fee. And the results are yours to keep, so you have no obligation to use that contractor to make the repairs. You can then present the results to each company you solicit a bid from. This will help them make the best recommendation for repairs, and keep costs down for you. 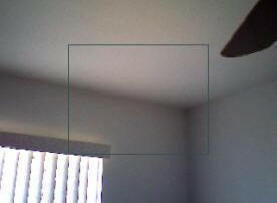 Infrared Thermal Imaging is also useful in noting leaks in the façade wall and around windows and skylights. It can even help detect missing grout and structural deficiencies in masonry walls! When it comes to masonry leaks, where water could be coming into the wall at one point but presenting itself in another, Infrared Thermal Imaging will show the extent of the problem immediately, so your contractor doesn’t misinterpret the source of the leaks. If you’re interested in having an Infrared Thermal Imaging inspection performed at your building, click here or call us at 212-982-3000.